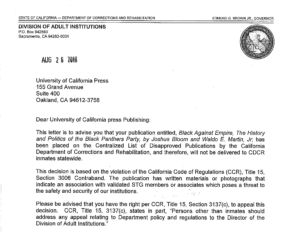 I don’t know whether to be concerned that state officials are still afraid of the Black Panthers, or take it as badge of honor that these words really do have power, but we have just been notified that American Book Award winner Black Against Empire: The History and Politics of the Black Panther Party by Joshua Bloom and Waldo E. Martin, Jr. has just become a banned book! 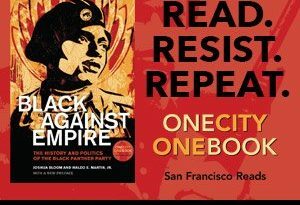 We’re republishing it, with a striking new cover courtesy of Shepard Fairey, to celebrate the 50th anniversary of the founding of the Black Panther Party here in Oakland CA. 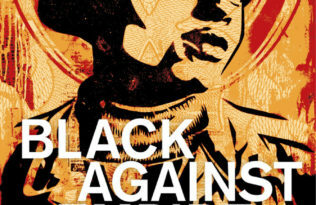 As Alicia Garza, co-founder of #BlackLivesMatter network says, “I read Black against Empire while on sabbatical, and it changed something in me. 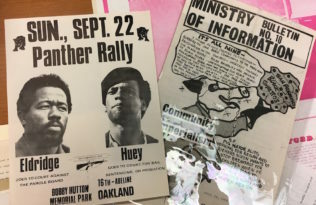 #BlackLivesMatter was created just a few months later. 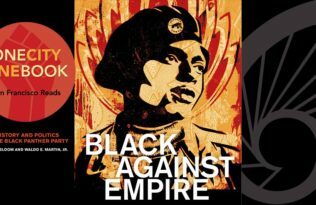 The political history of one of the most misunderstood black political efforts in our nation’s history, Black against Empire offers important considerations for today’s black liberation movement.” Banning Black Against Empire in California prisons, like trying to keep news of today’s prison strike from getting out, only makes matters worse. You can pre-order the new edition of Black Against Empire: The History and Politics of the Black Panther Party, With a New Preface on our website or wherever books are sold. Niels Hooper is Executive Editor at UC Press. He has a B.A. in Modern History from Oxford University and an M.A. 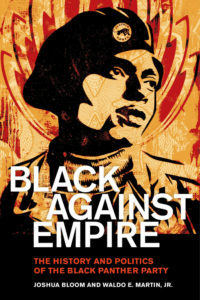 in History and African-American Studies from the University of Michigan. Prior to joining UC Press he worked at Verso Books in New York, at first running North American publicity, sales, and marketing, and later joining Verso’s editorial board and becoming the US General Manager.